Normally, my writing keeps me in our state’s capitol, Indianapolis. I admit, it’s difficult to drive around the state to visit other awesome shops. One thing that makes it especially difficult is the ever changing landscape here in Indianapolis! We have stores opening all the time, which is great for the consumer, but leads me to continue to shave my head, less I have hair to rip out in frustration! However, this is a petty complaint, and I try to keep up to the best of my ability! With this in mind, a few weeks ago Lizz and I took a trip down to the south side of Indianapolis, to check out the grand opening of The Toy Drop. The Toy Drop just recently opened in the shopping center on the southeast corner of Madison and Edgewood, and they are trying to let people on the south side know there are good shops on their side of town. Walking in, you’d find it hard to argue this: everything is on peg hooks, shelves, or in cases. The shop is wide open, clean, and not overflowing with product. 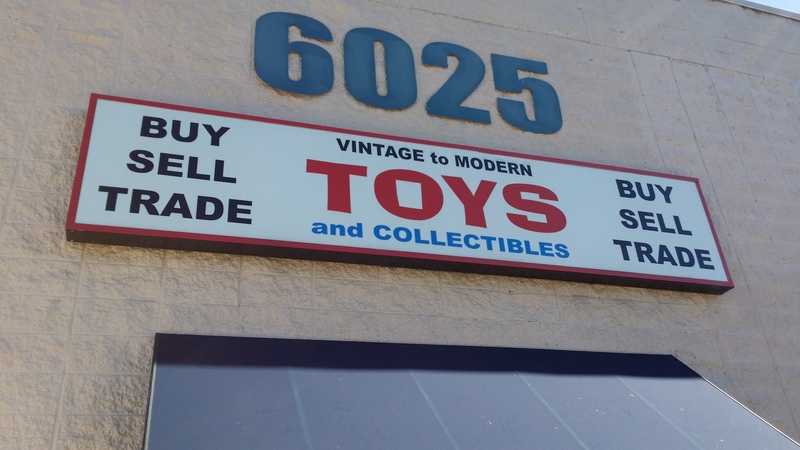 They have everything you’d expect from a toy shop, like Star Wars figures, Funko Pops, comic book figures, horror toys, Transformers, GI Joe, and even a section in the back for old video games (they had an Odyssey 2!) and the video game-related toys. They even had some interesting random pieces, like a resin garage kit that could be used to make a Star Trek model more accurate, which was, sadly, not a model I was working on. After looking around for a bit, I had the opportunity to speak to Kim, the owner. She’s very friendly, and wants to have a welcoming, clean, friendly shop for toy hunters to visit. She is also happy to have a shop beside It’s a Block Party, because the two businesses work well together, and they help each other out quite a bit. Oh, and while we were there? 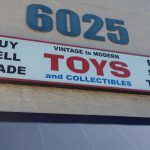 Lizz was able to get a Wonder Woman Funko Pop, and I’m hoping they have some of the A-Wing toys still there on our next visit! So, you want to go check them out? Here’s where you can look, followed by some pictures I took! Just kidding on the phone number! Internet! Where are they online? Check out their Facebook page! What is their parking situation? They are in a strip mall, with a parking lot by their entrance. Thank for the visit. Hope to see you soon. Glad you enjoyed the experience.